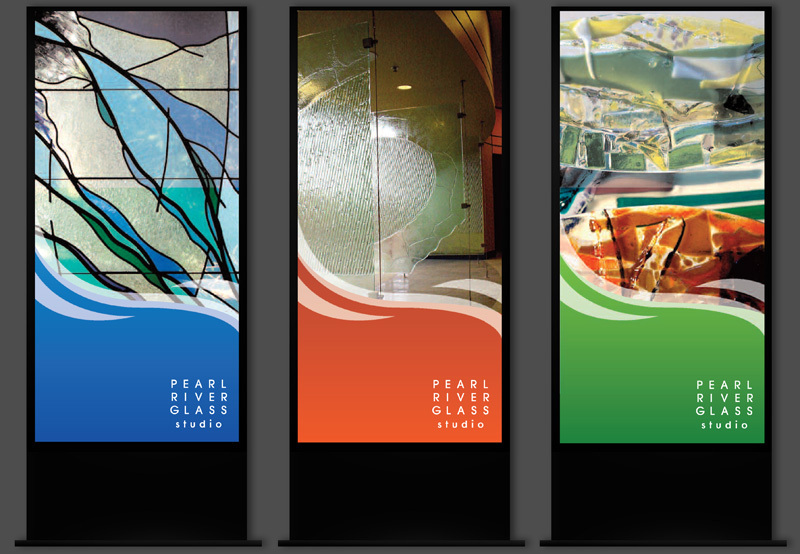 Pearl River Glass Studio and its owner Andrew Young have been an axis for the artistic community in Jackson. 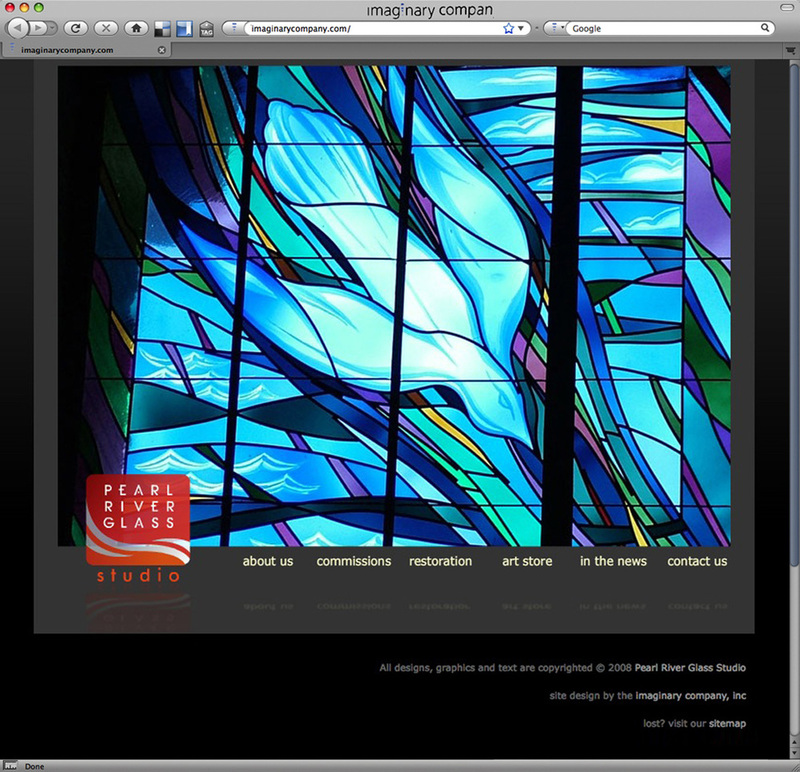 Their award winning glass creations are featured throughout the country. We even have one outside of Imaginary Company! 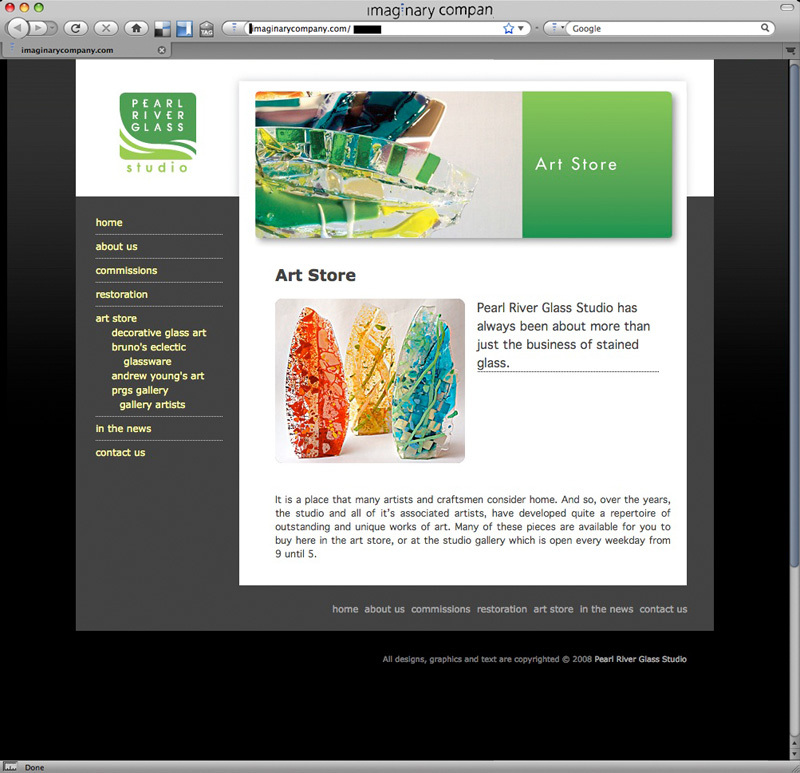 It was great to be able to use our creative talent to promote theirs. 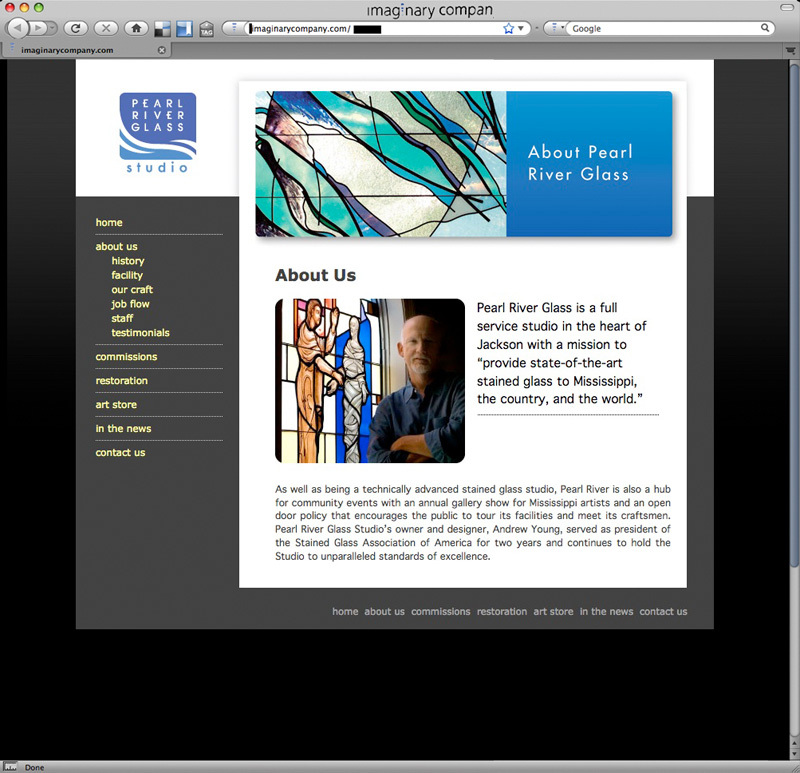 Check out this site and the portfolios of the individual artists who work with Pearl River. 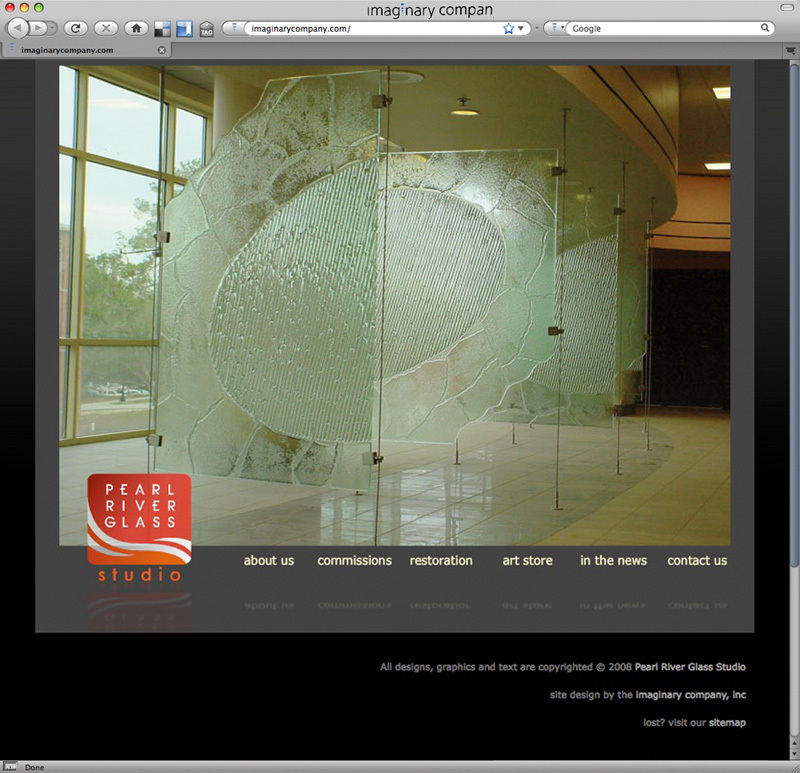 Click here to view broadcast ads.